We are, yet again, making updates to the website. We will work as quickly as we can. This is the 5th law change in 4.5 years and we are short-staffed (feel free to donate here). Until all the updates are made to the website and our training guides and our staff and volunteers are re-trained, brochures will not be available. There are no provisions in Wisconsin or local laws that let tenants get out of a lease agreement if they buy a house, become ill, lose their job, get a job transfer, etc. However, there are six clear ways to get out of a lease with no further obligation to pay rent. Several of these existed as prohibited lease clauses before the law changes, and the latest law changes actually contain several more reasons you can break your lease without consequences. Wis. Stat. 704.44, 2013 Wis. Act 143, Secs. 26-35 Eff. 3/31/12. If the tenant and landlord agree to mutually terminate the agreement, it should be in writing, and it requires the consent of everyone named on the lease. If the landlord asks for a payment, the tenant cannot be required to pay more than the landlord's actual and reasonable costs (including lost rent and advertising costs, but not compensation for time spent re-renting the apartment), but they may choose to pay more to get the landlord to end the lease, and avoid the risks of breaking the lease. Sample Mutual Termination Forms are available from the Tenant Resource Center. See our blog for tips on negotiation and getting things in writing. The Servicemembers' Civil Relief Act allows tenants to end a lease if the tenant enters into a military service, or if the tenant receives military orders to either change station or to deploy for 90 days or more. This applies to leases which are occupied or are intended to be occupied by a service member or a service member's dependents (spouse, child, or an individual for whom the servicemember provided more than half the individual's support for 180 days preceding application for relief). Tenants must give written 30 days' notice and a copy of the military orders to the landlord in order to use this act. NOTE: Month-to-month tenants can always give notice to end their leases for any reason or no reason at all. Wis. Stat. 704.165 says that a lease is terminated 60 days after a landlord is notified of a tenant's death (or before, if the lease ends before the 60 days). After 60 days, the tenant's estate is not liable for any further rent. If the unit is surrendered by the estate prior to the completion of the 60 days, then a landlord would have to mitigate damages in the same way as if the lease had been broken. The lease would still be valid for any remaining co-tenants (for instance, a living spouse who was named on the lease). NOTE: Your landlord need not have acted (or tried to act) on the illegal provision(s). The presence of the provision(s) in the lease is illegal on its own. Your landlord cannot terminate your lease without your consent just because it contains an illegal provision since they are the ones who drafted the lease. Allowing a landlord to increase rent, decrease services, bring an action for eviction, refuse to renew, or to threaten any of these actions because a tenant has contacted law enforcement or emergency services for their safety. Wis. Stat. 704.44(1m), ATCP 134.08(1), CR 14-038, Sec. 11, Eff. 11/1/15. Evicting in any other way besides by state law (see Eviction). Wis. Stat. 704.44(2m), 2011 Wis. Act 143, Sec. 26, Eff. 3/31/12 and ATCP 134.08(2), CR 14-038, Sec. 11, Eff. 11/1/15. Speeding up rent payments for breaking a rule in the lease. Wis. Stat. 704.44(3m), 2011 Wis. Act 143, Sec. 28, Eff. 3/31/12 and ATCP 134.08(3), CR 14-038, Sec. 11, Eff. 11/1/15. Waives the landlord's duty to mitigate damages under Wis. Stat. 704.29 if the tenant vacates early. Wis. Stat. 704.44(3m), 2011 Wis. Act 143, Sec. 28, Eff. 3/31/12 and ATCP 134.08(3), CR 14-038, Sec. 11, Eff. 11/1/15. Requiring tenant to pay landlord's attorney's fees or costs for defending their rights, unless the court awards them. Wis. Stat. 704.44(4m), 2011 Wis. Act 143, Sec. 30, Eff. 3/31/12 and ATCP 134.08(4), CR 14-038, Sec. 11, Eff. 11/1/15. Allowing the landlord to "confess judgment" or speak for you in court about any action or inaction related to the rental agreement. Wis. Stat. 704.44(5m), 2011 Wis. Act 143, Sec. 32, Eff. 3/31/12 and ATCP 134.08(5), CR 14-038, Sec. 11, Eff. 11/1/15. Excusing the landlord for liability for property damage or personal injury due to negligent acts or omissions by the landlord. Wis. Stat. 704.44(6), 2011 Wis. Act 143, Sec. 33, Eff. 3/31/12 and ATCP 134.08(6), CR 14-038, Sec. 11, Eff. 11/1/15. Imposing liability on the tenant for personal injury arising from causes beyond their control, property damage caused by natural disasters, or by persons other than the tenant or their guests. Wis. Stat. 704.44(7), 2011 Wis. Act 143, Sec. 34, Eff. 3/31/12 and ATCP 134.08(7), CR 14-038, Sec. 11, Eff. 11/1/15. Waiving responsibility for the landlord to provide premises in habitable condition or maintain the property. Wis. Stat. 704.44(8), 2011 Wis. Act 143, Sec. 35, Eff. 3/31/12 and ATCP 134.08(8), CR 14-038, Sec. 11, Eff. 11/1/15. Allowing the landlord to terminate the tenancy if a crime is committed in or on the rental property, even if the tenant could not have reasonably prevented the crime. Wis. Stat. 704.44(9), 2011 Wis. Act 143, Sec. 35m NOTE: This was only effective for leases entered into or renewed after 3/31/12 through 3/1/14. Allows the landlord to terminate the tenancy of a tenant based solely on the commission of a crime in or on the rental property, if the tenant, or someone who lawfully resides with the tenant, is the victim of that crime, as defined in Wis. Stat. 704.44(9) & 950.02(4), 2013 Wis. Act 76, Sec. 25, Eff. for leases entered into or renewed on or after 3/1/14 and ATCP 134.08(3), CR 14-038, Sec. 11, Eff. 11/1/15. Allows the landlord to terminate the tenancy of a tenant for a crime committed in relation to the rental property and the rental agreement does not include the notice required under Wis. Stat. 704.14. See Notice of Domestic Abuse Protections Wis. Stat. 704.44(10), 2013 Wis. Act 76, Sec. 26, Eff. for leases entered into or renewed on or after 3/1/14 and ATCP 134.08(3), CR 14-038, Sec. 11, Eff. 11/1/15. Tenants who need to move out early, and who aren't able to end the lease for the six reasons above, have two options: breaking the lease and subletting. The landlord may charge you the actual costs associated with re-renting your apartment (advertising, etc. ), but not for time spent (see note in the history of the law). Fees to break the lease that go beyond advertising costs and unpaid rent are often something a tenant can sue for, or refuse to pay. Some tenants are willing to pay a higher fee because they do not want to risk paying even more if the unit goes unrented. Just make sure you get a signed written agreement that paying this fee ends all future obligation to pay rent. Compile evidence showing that your landlord hasn't mitigated (see examples of such evidence below). Send a letter to your landlord (keeping a copy for yourself) detailing your evidence of their failure to mitigate, and state that this failure means that you are no longer obligated to pay rent. If the landlord takes you to small claims court for unpaid rent, you will need to prove that they failed to mitigate or that their efforts to mitigate were not reasonable, so you should keep all evidence and correspondence relating to the landlord's failure to mitigate. Wis. Stat. 704.29(3) Small claims court tips available here. Look for ads for your apartment in local newspapers, on Craigslist, and in rental publications. Have a friend call to inquire about vacant apartments to see if the landlord mentions your unit. If there are many apartments available in a complex, your friend could mention specifics about your unit (such as the number of bedrooms, the floor it's on, which direction the windows face, etc.). Get a written statement from your friend. Find out if your landlord has raised the price of your apartment or changed the lease or rules for renting (for example, now not allowing pets or smokers). Significantly altering the rental terms in a way that makes the unit more difficult to rent, or makes it less desirable to potential tenants, can be a failure to properly mitigate damages. Stop by to see if the landlord is renovating or using your apartment. Take photos if this is the case. This is often the fastest way to find a new tenant, especially if you are worried that your landlord will not try to re-rent the apartment. Place ads for your apartment and have people call or email you directly. Give interested people applications (get them from the landlord). The landlord can only require they meet the same standards you were required to. Keep names and phone numbers of interested tenants so you can follow up with them in case the landlord is trying to keep people from renting the apartment. Get written statements, if possible. If the landlord refuses to sign a lease with similarly qualified potential tenants you have found to re-rent the apartment, remind the landlord that it is their duty to mitigate and that if they don't sign the lease, it will be evidence that they are not mitigating and you will no longer be required to pay rent for the apartment. Make sure to put their denial in writing. If you sublet, you will still be on the lease, even though you will no longer be living in the apartment. If the person you sublet to does not pay the rent or damages the apartment, you will be financially responsible. Although subletting can be risky, you may want to sublet if you wish to return to the same apartment after a time away, have a specific friend or relative who wants to move in, or feel that you'll need to offer an incentive, such as reduced rent, to find someone to move in. If you have roommates and you are the only one moving out, subletting may be your only option. See our Sample Sublet Agreement Form for more details. Landlord Sublet Procedures. Some landlords have specific procedures which you must follow for sublet permission. Some landlords require that you advertise, show the apartment, and forward interested parties to them for approval. Some landlords are willing to show the apartments. Some landlords demand "sublet fees" as well as the actual cost of ads. If a flat fee is required, ask in writing for itemized fees, so you know the actual and reasonable costs. Flat fees over $100 are likely illegal. Roommate Permission. If you have roommates, finding an acceptable sublessee may become an issue with them. All parties on the lease must agree to any major changes, including adding new tenants. Make sure that your roommates meet the potential sublessee. Remind your roommates that they are "jointly and severally" liable, so if you do not find a sublessee and are not able to pay the rent, the landlord may try to evict and/or collect your rent from them. Screen the Possible Sublessee. You will want to screen potential sublessees carefully, because you can be ultimately responsible for unpaid rent or apartment damages. You want to make sure that the subletter is able to pay the rent and has not had past rental problems. You may ask for landlord references to find out if they paid rent late or caused damages in previous apartments. A landlord may also decide to screen the potential sublessees themselves. Security Deposits. Because you are ultimately responsible in a sublet agreement, you may want to collect a deposit from the sublessee. In the event the landlord sues the sublessee and/or you, you will at least retain some of the sublessee's money. When you collect the deposit, you can keep it yourself and/or arrange with the landlord in writing for the deposit you paid to be returned directly to the sublessee. In some cases, the landlord may charge the sublessee a deposit while trying to keep the original tenant's deposit. In the cities of Madison and Fitchburg, this charge is illegal if the total deposit exceeds one month's rent. Wis. Stat. 66.0101(2)(b) Eff. 12/21/11. Landlords may charge a sublessee any amount for a deposit. See our Security Deposit pages (Madison or Wisconsin) for more information. Check-in. It is wise to have your sublessee complete a check-in form when they move in to document the apartment conditions. Consider asking your landlord for a copy of the form they use or use this one. If you are holding the deposit instead of the landlord, you take on the rights and responsibilities of a landlord, and must follow check-in procedures. See our Security Deposit pages (Madison or Wisconsin) for more information. Check-out. If possible, make an appointment to check out with your landlord before the new sublessee moves in, and fill out a check-out form either with them or on your own. If you complete a self check-out, make a copy of the completed check-out form and give the original to the landlord. If you believe you may have difficulty getting your deposit back, have a witness (not a roommate or relative) inspect with you and sign the completed check-out form. You can also take photos to document the condition of the unit. Give written notice of intent to terminate. Verbal notices are not valid, no matter whether the lease was written or verbal. Wis. Stat. 704.19(2)(a) A sample termination notice for a month-to-month tenancy is available here. For example: If your landlord gives you a notice on the 10th of May saying you need to be out by the end of May, there won't be 28 days before the end date so the notice is insufficient. The same would be true for an end date of exactly 28 days later since that would fall in the middle of a rental period. However, the notice would become effective on the following month and you would need to be out by June 30th. The landlord does not need to serve a new notice if they calculate it wrong in writing, you go with the correct date based on when they served it. If your lease says that you must give more than a 28 day notice, that is valid and enforceable, even if the lease has since expired. Check your most recent written lease to see the amount of notice required. Termination of a month-to-month tenancy is not the same as an eviction. Please see Eviction for more information. A sample notice is available here. Tenants and landlords can both choose to end a lease when the lease term is over (for example, a year long lease with no automatic renewal clause). The landlord is choosing not to renew for discriminatory or retaliatory reasons. A non-renewal notice is not the same as an eviction. Please see Eviction for more information. Tell tenants in writing why their lease is not being renewed, the sources of their information being used to make the decision, and give up to 60 days notice (depending on their lease). 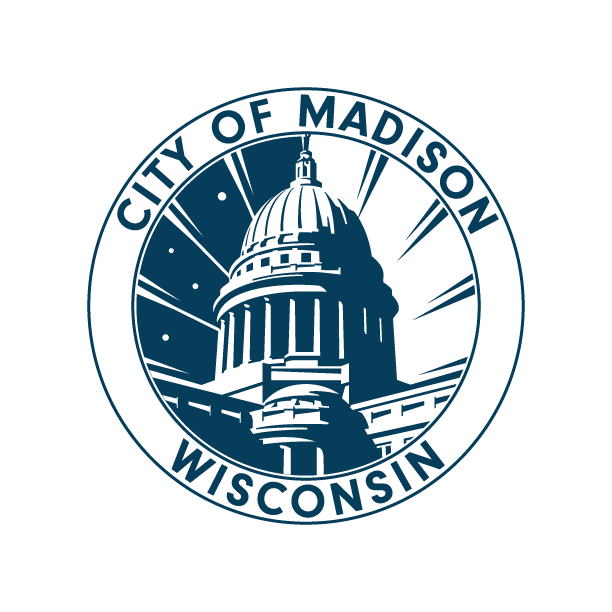 The Madison Common Council passed the same law for the City of Madison on November 6, 2013. MGO 32.08 Eff. 3/1/14. Automatic Renewal Clause: A clause in a lease that has it continue for another whole term after the current term is over, with no further written agreement between tenant and landlord. Break Your Lease: End a tenancy early by moving out without the agreement of the landlord. The amount of money a tenant or landlord may be entitled to when the other breaks a lease or other agreement, including unpaid rent and utilities. Physical damages to the apartment. Jointly and Severally Liable: All co-tenants, sublessors, and sublessees are equally responsible for all terms of the rental agreement, including the full payment of rent. The landlord can hold one or any tenant responsible. Tenants can then hold each other responsible. Mitigate: The landlord's legal duty to minimize lost rent and other re-rental costs after a tenant is evicted by actively seeking a replacement tenant. Rental Period: The period for which you pay rent. Usually in monthly increments, the rental period begins on the day that you are required to pay rent, and ends the day before you are next required to pay rent. Sublessee or Subletter: New tenant. Sublet: Make and agreement with a new tenant to assume responsibility for the lease. If the new tenant fails to fulfill responsibilities, the original tenant remains responsible. This is sometimes called "assigning" a lease.